R.I.P. President George H.W. Bush. 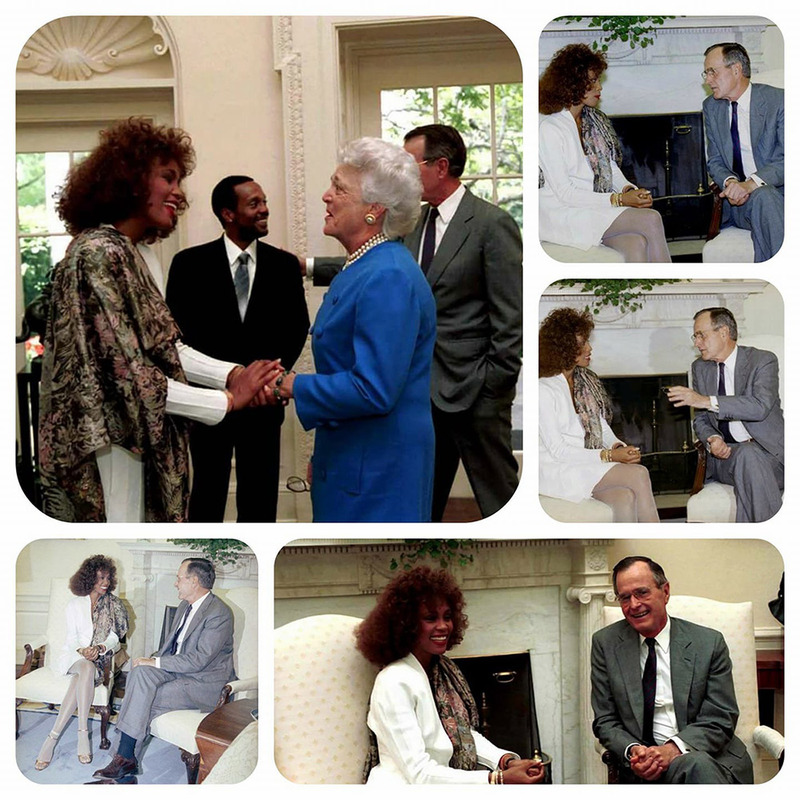 Whitney was applauded by President Bush in 1990 at the White House for her social consciousness. She was named a “Point of Light Contributing Leader.” She and her mom Cissy (and brothers Michael and Gary) visited the White House and were given a private tour.